On May 8, 1900, eleven men and ten women met in the home of John T. Hill to discuss the idea of forming a Presbyterian church in the then-new Roland Park neighborhood of Baltimore. A committee of five was formed to look into this matter and seven weeks later on Thursday, June 29, a business and social meeting of local Presbyterians was held in the Woman’s Club Room on the second floor of the Roland Park shopping center. The committee reported that arrangements could be made for use of the Woman’s Club Room for morning and evening services at a cost of $3 per Sunday including use of the piano, organ and lights. It was felt that a minister could be secured for an annual salary of $1,000 and a building lot could be obtained at a discount from the Roland Park Company; plans were presented for a stone structure that could be built for $10,000-$12,000. The committee continued its work through the summer of 1900 and on October 4 arrangements were concluded with the Rev. John Walkup Douglas who began his ministry at Roland Park on the first Sunday in November. Meanwhile, the Sunday School began on October 21 with John T. Hill as its first superintendent. The “Sabbath School,” as it was first termed, was held before church with separate classes for boys and girls. A February 6, 1901, resolution began the petition process to organize the local mission as a Church. The Presbytery responded favorable and so on April 10 the new church decided to proceed immediately with the purchase of a lot on which to erect a stone structure at Roland Avenue and Upland Road for the cost of $15,000. An April 22 meeting initiated a formal fund raising canvass and the Circuit Court of Baltimore County granted the church’s Articles of Incorporation, signed by twelve men, on May 1, 1901. On May 30 Dr. Douglas was formally installed. The cornerstone of the church building was laid on July 10, 1902, and seventeen months later on December 6, 1902, dedication services were held. The original sanctuary of the church was done in an auditorium style with a sloping floor and no central aisle. There was a central pulpit behind which was the choir area and the organ console. 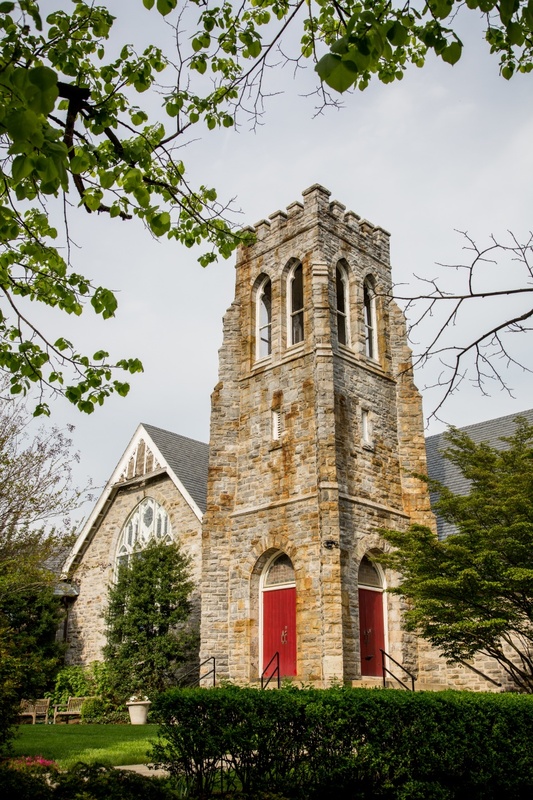 Throughout these early years the First Presbyterian Church maintained a strong interest in encouraging the new Roland Park church including an annual contribution of $300. During these fledgling years the choir consisted only of a soprano and tenor. Dr. Douglas, who had a great interest in music and was a self-taught pianist and organist, had hired a soprano, Mabel Garrison, and soon people came to church on Sundays not only to hear Dr. Douglas preach, but also to hear the new soprano. Her fame quickly spread, even as far as New York and within a few months she was engaged by the Metropolitan Opera where she sang in a number of major roles for some years. About the same time, baritone Eugene Martinet sang in the choir but he also left for New York though soon returned to establish the Baltimore Opera. Years later, in the 1990s, soloist April Haines duplicated Mabel Garrison’s fame in both the admiration of the congregation and then in departing to join the Metropolitan. The church’s first organ, interestingly, was water-powered and many an early youngster could recall floating tiny sailboats as water flowed out to Roland Avenue since the organ was started when Sunday School concluded just prior to the morning worship service. The Ladies Guild was organized in 1903 and very quickly produced their first bazaar and church supper. This was the beginning of the church’s “Strawberry Festival,” later to be known as the “May Festival,” later still as the “Apple Festival,” then again as the “Strawberry Festival” except for the Centennial event in 2000 when it was termed a “Victorian Festival.” With the growth of the neighborhood, the church initiated a “congregational supper” for the purpose of encouraging members to bring their friends. An additional encouragement for community participation was the Thanksgiving service begun as early as 1910 and continued today as a shared, inter-denominational tradition held with other Roland Park congregations. For young people, the church provided many activities such as steamboat excursions to Tolchester Beach and producing theatrical fare such as “The Mikado.” The theatrical tradition continues today as an active part of church life for all members with the Thesbyterian Players annual dinner theater that began in 1983. And throughout its life, the church has encouraged its use as a community meeting place by ardently encouraging Boy Scout, Girl Scout, and Brownie troops as well as use of its facilities by the St. Andrews and St. George’s societies and the charitable fund-raising stage plays of Baltimore’s Paint and Powder Club. As the years passed by the need was felt by the congregation for additional space and facilities, particularly for the Sunday School. Therefore, in June, 1924, and extension of the church building was authorized and was completed exactly one year later. A Married Couples Group was initiated by Dr. Douglas in the 1930′s for both church members and Roland Park residents; later members remember it as the Thursday Evening Dinner Club which continued through the 1980′s. The Women’s Guild and the Missionary Society groups united in 1933 to form the Women’s Association that evolved into the Presbyterian Women in the 1980′s. Under Dr. Douglas’ leadership, the membership of the church grew from the original 21 members to more that 500. After a pastorate of 38 years in Roland Park, on January 30, 1939, Dr. Douglas died suddenly of a heart attack. The congregation called the Rev. Dr. John T. Galloway to be its second pastor. Dr. Galloway had been pastor of the First Presbyterian Church of Frankfurt, Kentucky, and he was installed by the Presbytery of Baltimore on March 3, 1940. During the war, the church joined the Presbytery in its mission to help military personnel by supporting a canteen called the Hospitality House on Baltimore Street. On a rotating basis, the various Presbyterian churches ran it for a week at a time with women of the church making and serving food, the young girls acting as hostesses, and the men of the church in the role of chaperones. After the war, on January 9, 1946, a fire destroyed much of the east end of church including Dr. Galloway’s library, the study, and the Sunday School classrooms. These areas were restored within a year and on March 28, 1948, Dr. Galloway resigned his pastorate to become the minister of the Wayne Presbyterian Church in Pennsylvania. On December 1, 1948, the congregation called the Rev. Dr. Donald Craig Kerr to be its third pastor. Dr. Kerr had been pastor of the New Haven Presbyterian Church in Connecticut. Early highlights of Dr. Kerr’s long tenure included the 50th Anniversary celebration in 1951 and the purchase in November 1954 of a residence at 2 Elmhurst Road later known as Church House. In 1958, however, fire caused extensive damage to Church House. Meanwhile, plans were in the works to expand the sanctuary and Sunday School facilities. The Church House was able to host many of the church’s functions during the reconstruction while Sunday services were held at the Gilman School; Church House was later sold for $35,000. Features of the new sanctuary, rededicated on May 1, 1960, included the installation of a Wicks Two manual Organ, a modern cross with two interlocking rings hanging in the chancel, and a stylized burning bush with the divine name “I am that I am” carved in mahogany and placed on the south wall. To pay for the building costs, over $210,000 was raised by subscription and from this effort also grew the endowment fund. During the early years of Dr. Kerr’s pastorate, David Lowe became the church organist and choirmaster and initiated the combination of a paid quartet and a volunteer choir. The congregation celebrated its 75th anniversary in May 1976 and gifts were received which made possible, among other projects, the purchase of a set of handbells. In July 1980, after a pastorate of nearly 32 years and a term in 1961 as moderator of the Presbytery of Baltimore, Dr. Kerr retired and was elected Pastor Emeritus. The church’s missionary outreach has taken many forms. At least two of its former members are in the ministry: William Hill, whose family was a prime mover in the founding of the church, serves a church in Scotland while Susanne Brooks Cope ministers in Florida. In the 1980′s, Drs. Leslie and Cynthia Morgan attended Roland Park Presbyterian Church while studying at Johns Hopkins and before beginning as medical missionaries in Bangladesh. The McKim Center, located in a struggling inner-city area of downtown Baltimore has long benefited from the church’s involvement and support. In 2000 alone, the church youth demonstrated a commitment to understand the plight of the homeless when the youth constructed and lived in a “Box City” on the church’s front lawn on a cold fall night in a successful effort to collect a huge amount of donated clothing. In the spring, Roland Park joined other churches in renovating a Habitat for Humanity home. “Box City” was repeated again November 20-21, 2004 as well as October, 2010. In July 1981, the congregation called its fourth pastor, the Rev. Dr. Albert W. Bush, Jr. The Bush family had lived in Lake George, New York, where he was pastor of the Caldwell Presbyterian Church. The Presbytery of Baltimore installed Dr. Bush on September 27, 1981. During his pastorate, Dr. Bush emphasized the Sunday School and adult Bible study programs, and revised the administrative structure of the church boards and committees. Occasionally an Associate Pastor has served the church and in 1982 Dr. Theresa Jo Martin-Minnich was appointed to head the Christian education department and she continues today as the longest-serving associate. When Dr. Bush left in 1987, two interim ministers served the church. In May 1989, the Rev. Dr. Brett Morgan was installed as the fifth pastor of the Roland Park Presbyterian Church, Dr. Morgan’ special talents were given to fields of adult religious forums and thought provoking, relevant, philosophical sermons. Dr. Morgan departed in February 1998, and the congregation was led through the interim transition (which incorporated a thorough self-study) by the gentle and wise guidance of Dr. John Calvin Knox Jackson. The church’s sixth pastor, the Rev. Dr. Wayne Boulton, first occupied the pulpit in August 1999 and was formally installed the following October 3. Dr. Boulton came to Roland Park with an academic and administrative background, having both taught religion at the college level for many years and headed a seminary, before turning his talents to pastoral care. Along with the experienced assistance of Associate Pastor, Dr. Teresa Martin-Minnich, he led the Roland Park Presbyterian Church into its second century with a renewed sense of dedication. In August 2005, Dr. Boulton received a call to be the interim pastor for the New Vernon Presbyterian Church in New Jersey. The congregation once again entered into an interim period, this time led by Dr. Theodore Durr. In November of 2006, Dr. Martin-Minnich received a call to be Chaplain to the congregation of the United States Naval Academy Chapel in Annapolis, MD. In October of 2007, after a lengthy search process, the congregation voted to call the Rev. Mark W. Hanna to be its seventh pastor. He began his ministry with us in February of 2008. In a new century, with a new pastor, the members of Roland Park Presbyterian Church are anxious to once again explore God’s call and to create a future worthy of its fine heritage. 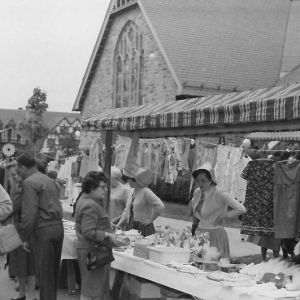 Over the years Roland Park Presbyterian Church has experienced its fair share of change. However, there are some things that can be said of the church both then and now: the members of Roland Park Presbyterian Church are dedicated to worshipping God in spirit, beauty and truth; we are a church committed to growing together in our faith through education and service; and we are determined to maintain the sense of being a welcoming, caring church family grounded in the love and grace of God made known to us in Jesus Christ.